Japan, the capital of this country is Tokyo and its most famous mountain is Mount Fujiyama. The emperors of Japan at one time claimed to be divine. 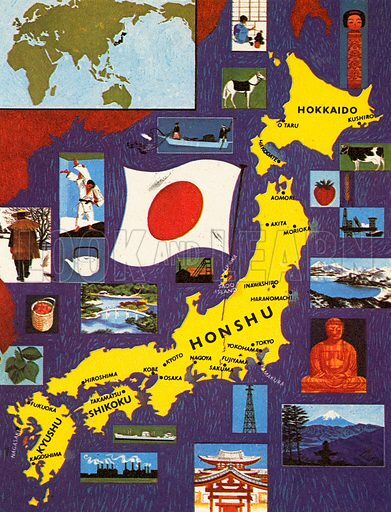 This idea was repudiated by Emperor Hirohito on 31st December, 1945, after Japan had suffered defeat in World War II. Available worldwide for immediate download up to 3,495 x 4,578 pixels.